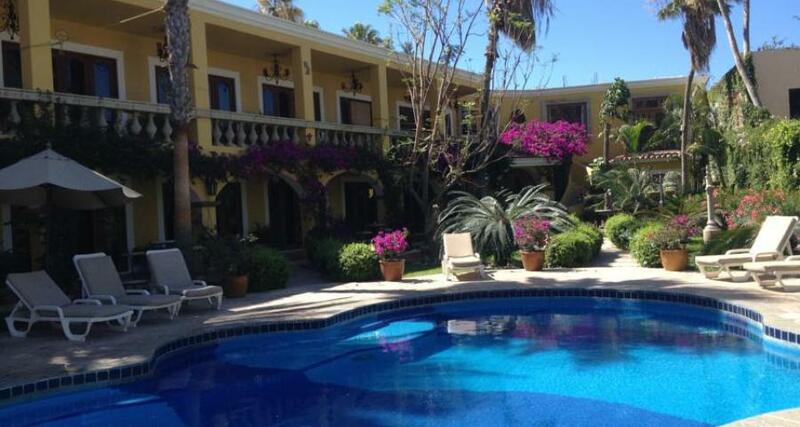 El Encanto Inn and Suites is a 3.5* hotel located in San Jose del Cabo, Mexico. It features 27 rooms and swimming pools. El Encanto Inn and Suites is a beautiful property that is well-deserving of the charm in its name, offering comfortable guestrooms that are ideal for relaxing. The architecture here has been designed to evoke images of a colonial Mexican hacienda, with carved furnishings and forged-iron features everywhere. From the moment you enter the peaceful atmosphere of El Encanto Inn and Suites you'll feel welcome; it is an ideal place in Los Cabos for people seeking a relaxing vacation or for a romantic escapade with their partner. Please note that there is an annex building a half block away. The reception is open from 7:30 a.m. to 11:00 p.m. If you need to check in after 11:00 pm please let the hotel know ahead.